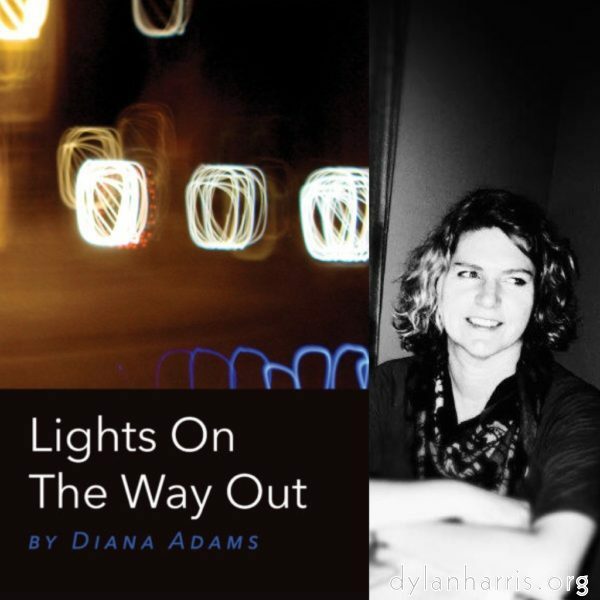 Diana Adams’ new poetry collection, Lights On The Way Out, which is to be published by Finishing Line Press in Canada, features one of my photos in the collage on the cover. I’m rather chuffed. Congratulations to Diana, of course!